Inside: Are you making these crucial baby sleep mistakes? Get the rest you need and get your baby’s sleep back on track with these simple fixes to six baby sleep issues. I couldn’t hold it in any longer. “I just can’t. I can’t do this!” My husband was leaving for work for the first time after our first child was born. I was about to be alone with the baby. The baby who wouldn’t sleep. The baby who was crying in his swing while I silently sobbed beside him. 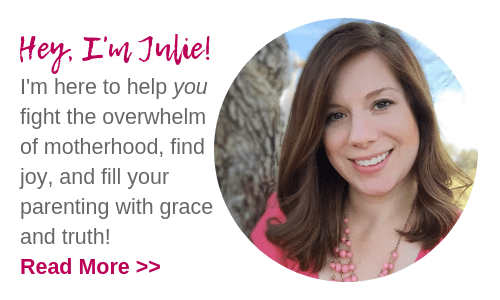 I desperately needed baby sleep advice that worked! Three and a half years later, and I’ve learned a lot. I graduated from the sleep school of hard knocks. To be honest, we are still managing the effects of all those bad sleep habits we helped my son acquire in those early days. Sleep is still a struggle for my oldest. Know what? There are a ton of things we did (and are still doing) right with my oldest. We limited screen time, read books like they were going out of style, cultivated his character, and created a lot of great memories together. Yet, I’ll be the first to tell you that I seriously sabotaged his sleep! It wasn’t intentional at first, we just didn’t know any better. 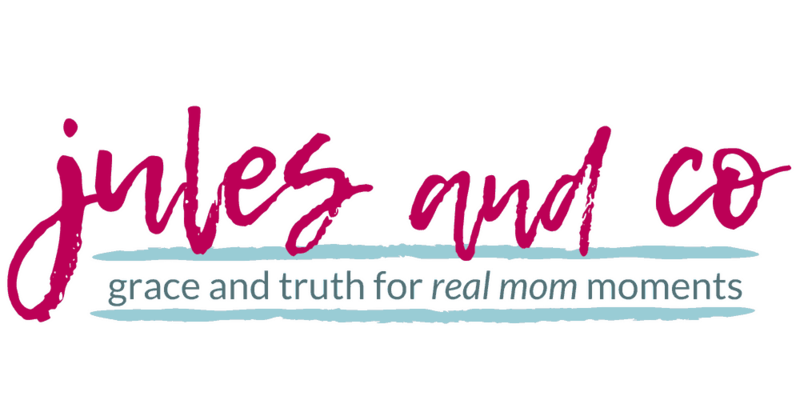 I’m not beating myself up over it…We just didn’t know what was really possible with a few simple baby sleep principles. Fast forward to baby #2…With a baby girl here, I’m determined that this time around things will be different. Will temperament and personality play a part? Certainly. Yet I’m positive that there are a few key factors I can change to help my second baby sleep better than my first from the very start. Hindsight is 20/20, right? So, mama. Learn from my mistakes! Are you making any of these baby sleep mistakes? Take the actions steps to fix those bad sleep habits as soon as possible. Trust me, you won’t regret it! Let’s get started with my best baby sleep advice. 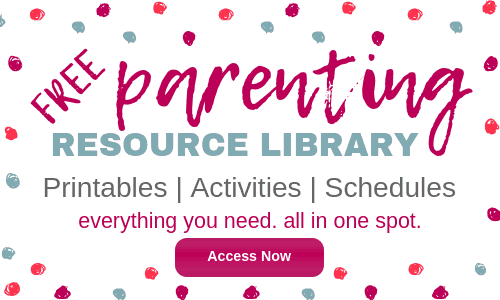 Overwhelmed at home with your baby, toddler, or preschooler? Help is here! Download my Everyday Calm eBook and Printable Pack bundle, and learn simple mindsets and routines to conquer the chaos at home with kids. Disclaimer: This post contains affiliate links. However, I only recommend products I know and love! 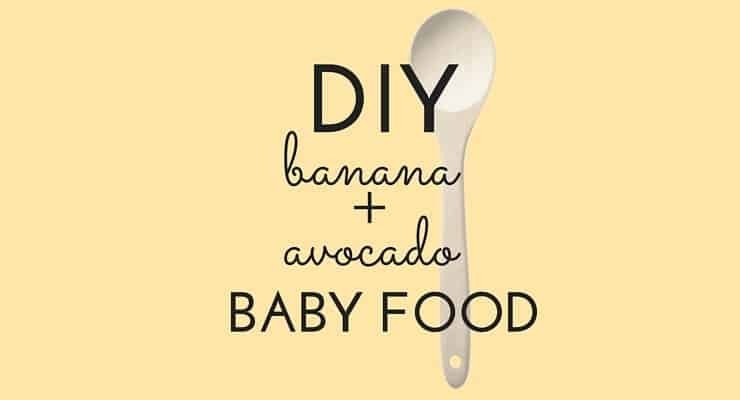 Before you can hope for a baby who sleeps well, you need to work on helping your baby eat well. Feed your baby as soon as they wake up from a nap, not just before they go down to sleep. Full bellies mean naps will be the proper length and your baby won’t wake up hungry before her sleep cycle is done. For nursing mamas, let your baby nurse as long as possible on one side to make sure she gets the more filling hindmilk. Yes, it’s ok if she only takes one side per nursing session! It’s better to take one side than to try for two and only give the baby foremilk. I like to stroke my baby from ear to chin to encourage her to keep eating. I know it’s tempting to let the baby fall asleep in the middle of a meal. “She’s finally asleep! Now I just won’t move for the next two hours as my whole arm gradually loses feeling.” But don’t do it, mama! Wake that baby up and help her belly get completely full. You’ll be thankful you did when she naps like a champ. 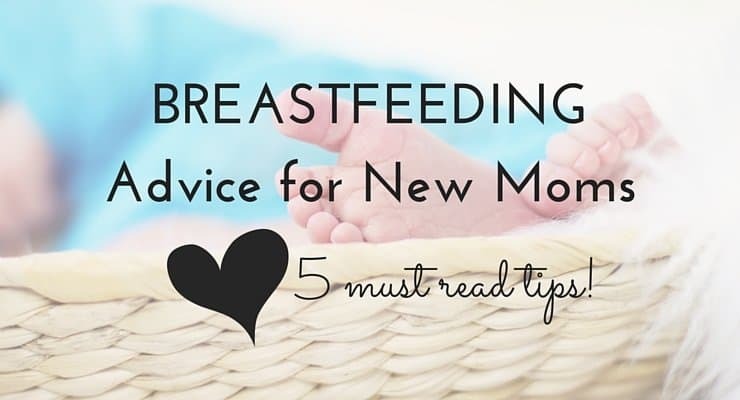 Read my best tips for breastfeeding for new moms! Action Step: Do everything in your power to make sure your baby really fills up at each meal. No snacking allowed! With my first baby, I finally realized that he was chronically overtired. It’s harder for your first, since you’ll likely have more visitors and a less predictable schedule. But protect those naps, mama! For newborns, wake time is usually no more than an hour. I’ve found that 45 minutes is closer to their perfect “nap window.” If your baby is staring off into space it doesn’t mean she “just wants to be up.” It means she’s overtired and you need to get her down for a nap quick! Steal my daily baby and toddler schedule! Plus grab a printable schedule for your fridge to help you keep your sanity. You can watch for sleepy cues like fussiness and rubbing her eyes, but it’s easier to just watch the clock. about 30-45 minutes after your baby wakes up, start heading for sleepytown. With diaper changes and feeding, this may mean that you only have 5-15 minutes for cuddles and tummy time. That’s ok! Wake times will gradually increase over time, but if you try to extend them out too early your baby will always be too tired to fall asleep on her own. Action Step: Beat chronic overtiredness by putting your baby down for a nap close to 45 minutes are she wakes up. With baby number one, we rocked him to sleep or put him in the swing for every nap and every bedtime. He was “in arms” about 90% of his day. It’s a vicious cycle because I extended his wake time too long, which made it impossible for him to fall asleep on his own. With baby number two, I put her down in her bassinet for naps. Our simple naptime routine is a one-minute bounce in my arms while I hum a hymn softly. Then I put her down while her eyes are still slightly open and awake. If we are out and about and off our schedule, I will attempt to rock her to sleep to protect the nap. (Remember mistake #2?) However this is a rarity rather than the go-to strategy. I think the biggest help in this area is changing your mindset. Instead of thinking, “She will never be able to go to sleep on her own!” Think, “I can help her learn to fall asleep on her own. It just takes time and repetition.” Go put the pacifier back in as many times as it takes. If she gets really upset, do your simple pick up and put back down routine. If your baby is older than four months, she might be ready for a lovey. Introducing a lovey is a great way to help your baby get to sleep on her own. Action Step: Decide on a super-short naptime routine. Bounce, hum, put the baby down sleepy but awake. And stick to it! If you put your baby down sleepy but awake, you’ll be amazed at how naptimes are naturally extended. 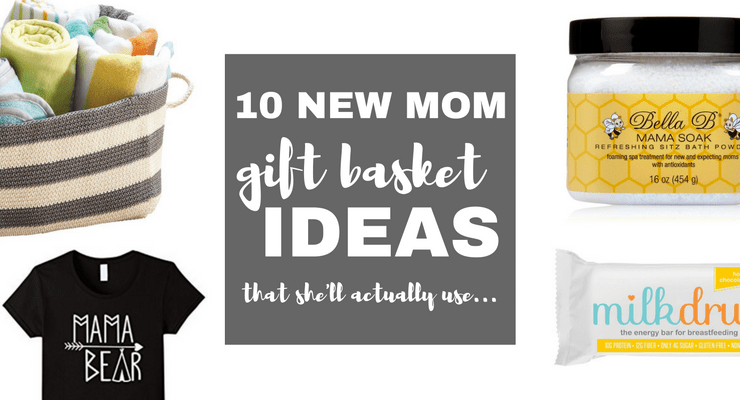 The first time I tried this with my second baby, I was absolutely shocked! About 45 minutes after my daughter went to sleep, she started to whimper and turn her head from side to side. Now with my first baby, I would have rushed in silently lamenting the fact that he always took short naps. He wasn’t able to settle himself since he needed me to rock him to sleep. With my second baby though, I always give her the chance to settle back down by herself. And it works! As she transitions to her next sleep cycle, she will fidget and grunt for a minute then go back to sleep. As a newborn, her naps are consistently two hours long. If you’re looking for more in-depth plan on teaching your baby to self-soothe, I highly recommend the book “The Happy Sleeper” by Heather Turgeon and Julie Wright. One of the techniques is called the Sleep Wave, which is the absolute perfect balance between attachment parenting and cry-it-out techniques. This book is a mama-friendly, baby-friendly, science-backed, and real life practical guide for helping your baby sleep well. A friend of mine recommended it to me, and I’m passing on the favor! Action Step: Invest in a great video monitor. We love our Summer Infant InView 2.0 monitor! It’s worth it’s weight in gold and will prevent you from waking up your baby completely as she transitions in-between sleep cycles. When your baby starts to fidget and fuss, give her a few minutes before going in to soothe her. Once you finally get your baby to sleep, it seems so right to just let her sleep as long as she wants to. Never wake a sleeping baby and all that, right? In the daytime, though, you set the schedule for when your baby naps and eats. For newborns you’ll generally be on a three-hour schedule. I follow the EASY routine, and it works great! For my first baby, however, I was so desperate for rest that I let him sleep for four or five hours during the day once I finally rocked him to sleep. Of course this mixed up his days and nights and consistently led to night owl sessions with baby number one. For my second child, I’m sticking to our schedule. About three hours after she last ate, I wake her up to feed her. After a few weeks of working really hard to create a predictable schedule, I’ve found that she naturally wakes up within 10-15 minutes of our scheduled time. Note: if my baby wakes up hungry before three hours, of course I feed her! The point goes back to mistake #1: fill up those bellies as much as you can in the daytime. Action Step: Create a predictable three-hour routine in the daytime. Eat, awake for no longer than 45 minutes- 1 hour, sleep for two hours. Rinse and repeat! 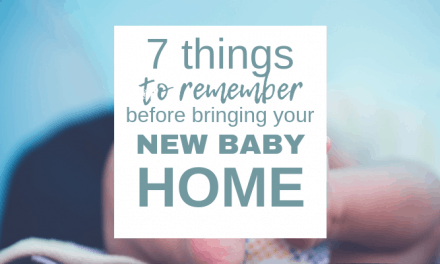 In those early weeks with my first baby, I felt like I was lucky to get a shower every day, let alone think about setting a routine for my baby. Bedtimes happened kind of by accident when the company left or we nodded off to sleep. There was no structure at all! This time around, our baby bedtime routine starts at around 7:30 every night. When she wakes up from her last nap, I’ll give her a warm bath in the bathroom sink. I keep the lights low and hum a hymn to her to keep her calm. I love using mild soap for my babies, not your typical “baby soap.” We’ve had great success with Kirk’s Castile Soap and Dr. Bronner’s Baby Mild Castile Soap. (These helped wonders with my son’s eczema as well!) Then I give her a quick massage with coconut oil to lock in all that moisture and help her relax. After bathtime, we nurse in a dark room, swaddle, and put her down sleepy but awake in her bassinet. For bedtime, we use this amazing combo pack n’ play, bassinet, and changing table. It’s tucked in the corner of our master bedroom to make night-time feedings quick and easy. Side note… All swaddles are not created equal! The best swaddle (and the only one you’ll ever need) is the Woombie. Read how we found the perfect swaddle in this post right here! Make bedtime extra special by praying Psalm 19 over your child. Download the free printable Psalm! Action Step: Choose two or three elements, such as bath, song, and nursing. Do them in the same order in the same environment every night to create sleepy cues for your baby’s bedtime. Baby sleep advice doesn’t have to be complicated, mama. 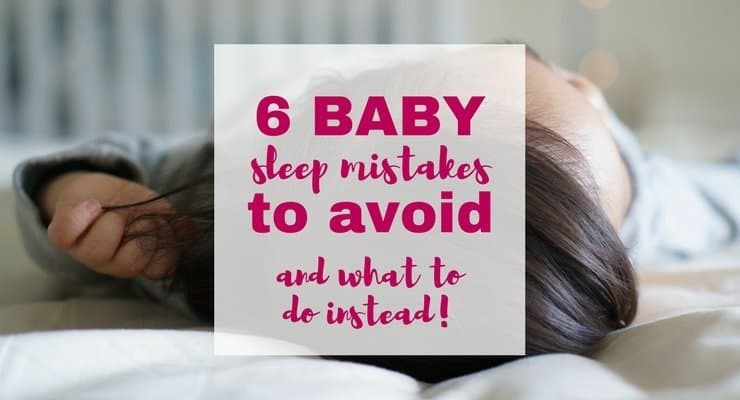 If you avoid these six baby sleep mistakes, I know you’ll be on your way toward a solid foundation of great sleeping habits. Can I tell you, mama? I’m so glad I’m putting in the hard work up front with my second baby. I’m confident that sleep won’t be such a battle this time around. 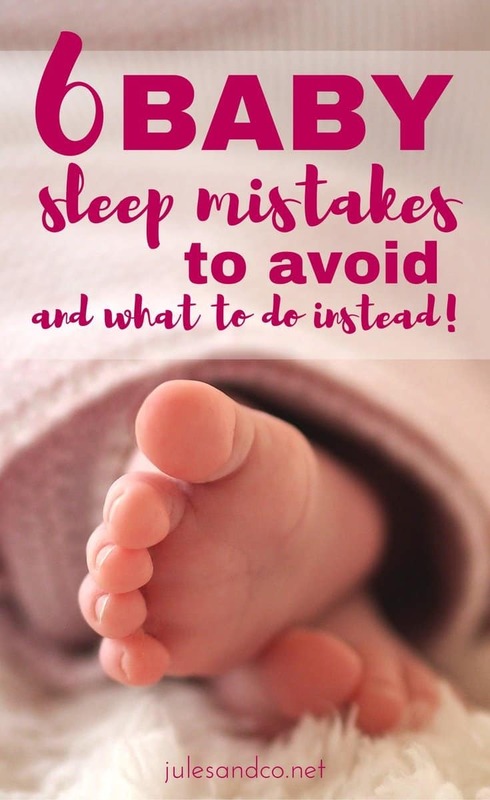 Tell me, what sleep mistakes are you going to avoid with your new baby? Hi, I read your newborn and toddler routine article before clicking on this post. I have a 3yr old boy and 7 week old girl and have a couple of questions! I find it hard to get my baby on her bassinet for naps. She does great sleeping there at night (although still waiting for longer stretches of sleep 🙂 ) but naps are harder. So I’m guessing for naps you nurse with a light on so you can read to/sit with your son and then swaddle her and that’s it? My baby would be wide awake by the time I swaddle her after a feeding but I will give it a try! How do you handle errands or activities? I have a Bible study that is really important to me once a week, and I love play dates. But if I follow the routine you have (which seems to be great) it looks like I pretty much have to stay home every day. How do you handle food shopping, outings, going for walks in the stroller, etc when the baby has such a short nap time window? This article is gold dust!! lol, love it Hannah! Good luck!